Welcome to the Online Home of Bakken Oilers Hockey! The Bakken Oilers organization was formed to allow the top youth hockey players from Western North Dakota to develop their hockey skills by playing with and against elite players from Eastern North Dakota, Minnesota and Canada. 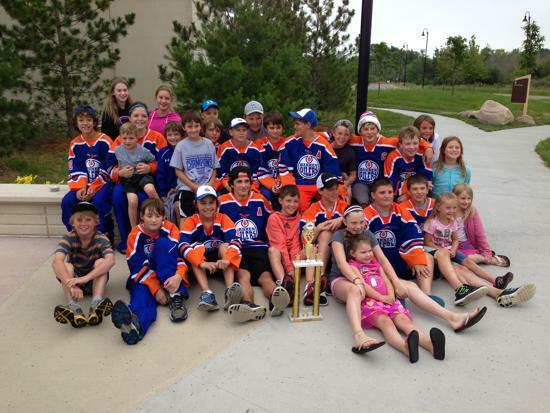 The Bakken Oilers organization has quickly become North Dakota's premier AAA hockey program. With its elite talent level, top coaching, signature logo and gear that shows attention to every detail, the Bakken Oilers organization mixed all the elements to build top AAA hockey teams at every level. If you are interested in being considered for a spot on a Bakken Oilers team, please follow the prospective player link below.